Welcome in the Christmas Holiday Season with Santa as he drops the sleigh and reindeer and goes high tech in this Endless Runner Style Game. Santa Straps on hit Rocket and takes on the Christmas Craziness as you collect stars and build points flying Santa as far as possible. 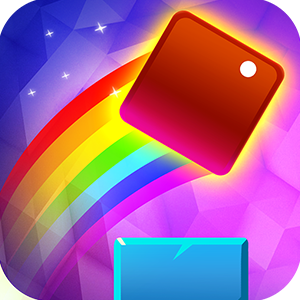 A game that is fun and good for working on reflexes as well as hand eye coordination! Merry Christmas! 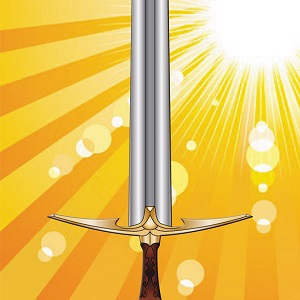 Great for all ages from 4 to 92. 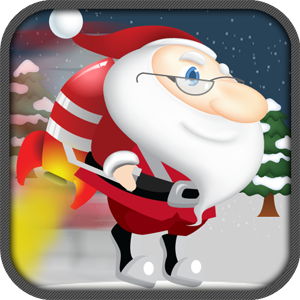 Everyone will love to play this Holiday Endless Runner Rocket Packed Game as you help Santa Claus fly the winter skies. 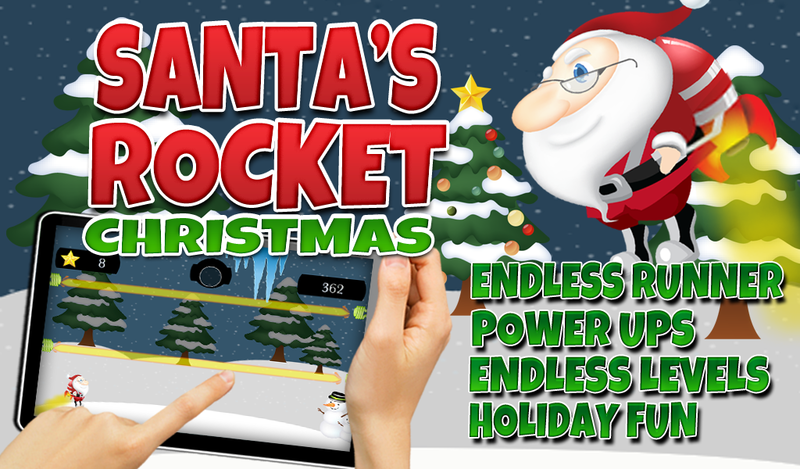 Here is what is in the Full Game: *Endless Levels *Fun for all ages *Power Ups *Endless Runner Style Game *Improve Hand Eye Coordination Santa's Rocket Christmas Ride is easy to play and lean as you simply touch the screen to get the Jolly Man Flying. 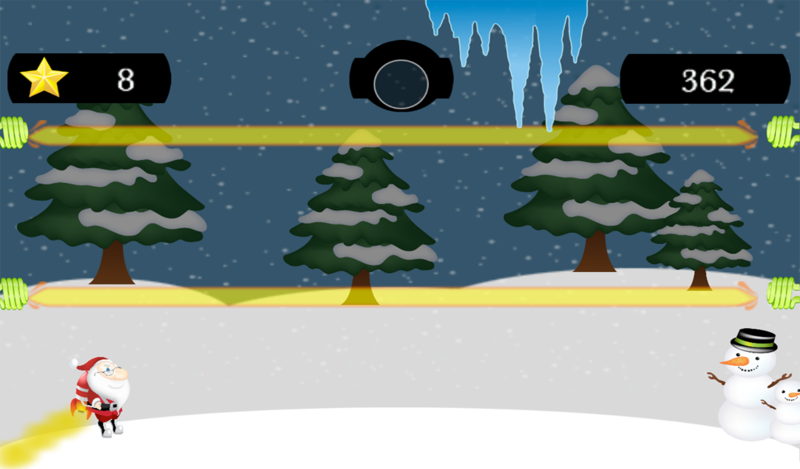 Avoid Lasers, Candy Cane Zappers, and Icicles as you collect Power Ups and Stars points. 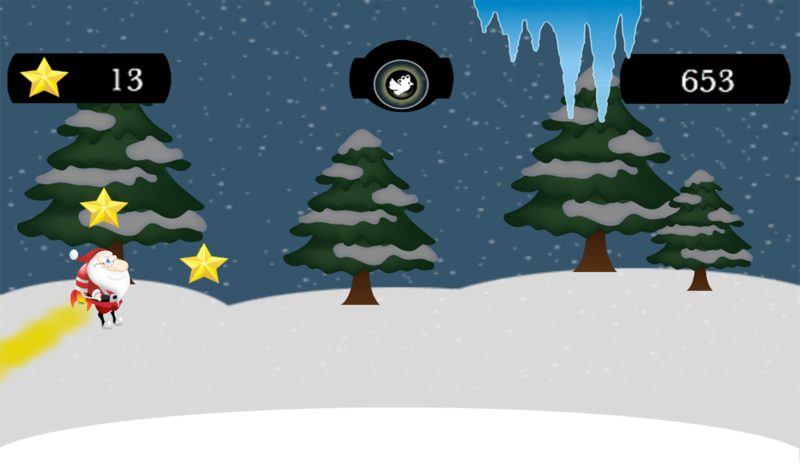 Makes a great holiday learning and entertainment app for kids as well as adults. 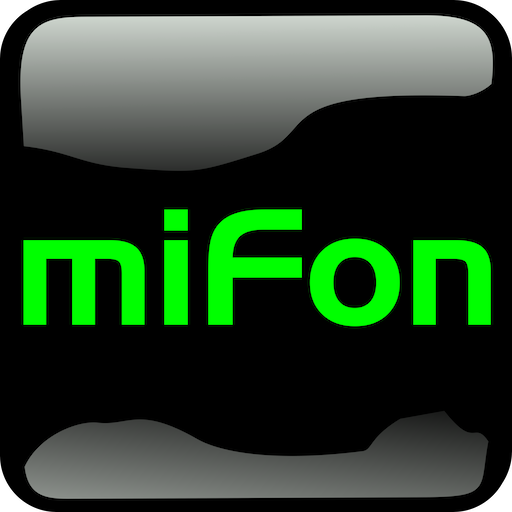 Download it Now!